I discovered a website dedicated to candy experiments on Pinterest. 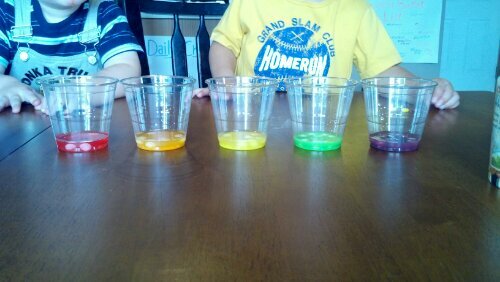 We love experiments and we love candy so it was a perfect match. We got a bag of skittles, a spoon and six plastic cups ready. 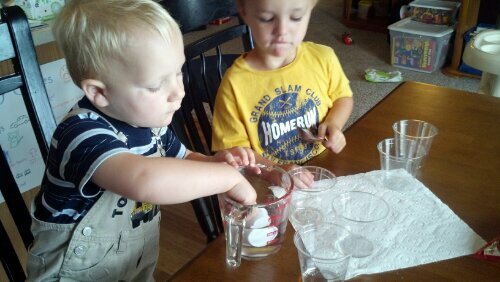 As the instructions said, we put 2TB of water in each of 5 cups. The boys had fun with this and did a great job taking turns. After a few rounds, I didn’t even have to remind them to share. 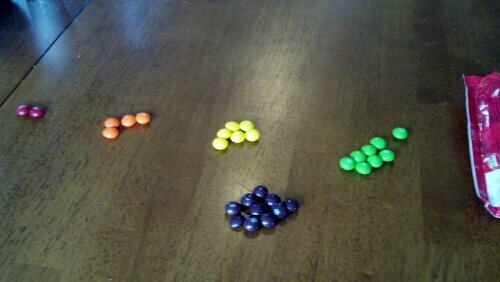 Then they helped me count out the skittles needed: 2 red, 4 orange, 6 yellow, 8 green and 10 purple. This part was a little more difficult because it involved patience. 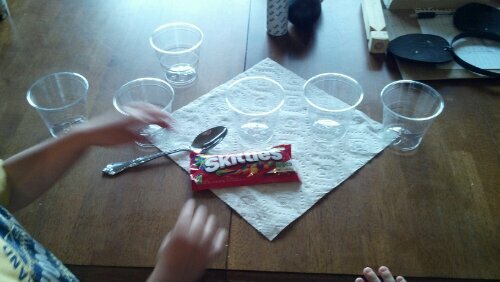 The boys couldn’t eat the skittles we needed for the experiment so it was a rough few minutes for them. 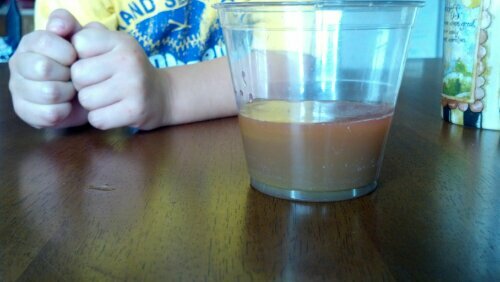 And then we got this sludge. Because we are such chocolate fanatics, we are going to try the Chocolate Bloom next…and we will try to keep our patient hats on while we do it. Thanks for trying candy experiments! Thanks! I will definitely try the nerds.